St. Francis Xavier is a National Blue Ribbon School of Excellence! Check out our Math and Summer Assignments for our middle school students and how to order our Math Summer Solutions. 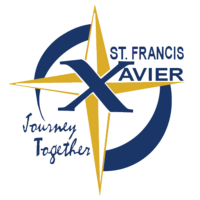 St. Francis Xavier School welcomes prospective families to this virtual tour. See what makes our school a great place to learn and grow as disciples of Christ! Call the office for more information on how to register @ 330 – 725 – 3345. We are welcoming new families to our school. Call our office for more information. Learn more here about our Kindergarten Program. FIVE STAR STEP UP TO QUALITY AWARD! In recognition of a commitment to quality and an ongoing dedication to the learning and development of children, St. Francis Xavier “Little Sailors” Preschool has received a Five-Star Step Up To Quality Award from the state of Ohio. “Little Sailors Preschool is proud to be a five-star program,” said Monica Gorman, director of Little Sailors. “We know that children have approximately 1,892 days from birth until school starts, and every day matters. It is important to us that children develop their self-confidence, social and emotional skills, and a love of learning.” Gorman also recognizes her staff, Mrs. Shelly Cloud, co-teacher, and Mrs. Karen Lapeus, full-time teachers aide, for being instrumental in achieving this rating. Research confirms that the first five years of a child’s life has a direct impact on how children develop emotional well-being, in addition to, learning and social skills. For these reasons, the Ohio Department of Job and Family Services and the Ohio Department of Education are committed to improving early childhood opportunities for all children in the state. What Makes St. Francis Xavier Students Great? They are encouraged to BE A NAVIGATOR. N – Nourish our Catholic faith and devote time for prayer. A – Accept others and work together. V – Very responsible for our actions and willing to forgive. I – Inspire, create, and explore our talents. G – Genuine and polite toward others. A- Active and volunteer time and talents. T – Trustworthy toward friends and others. O – Obedient to school rules and authority. R – Respectful to God, ourselves, and others. The Ohio Academy of Science informed us , that St. Francis Xavier School was selected as one of the 2017-2018 Governor’s Thomas Edison Award for Excellence in STEM Education and Student Research. We have been recognized by providing a strong STEM curriculum, but have also encouraged participation in many other activities to stimulate student interest in science, technology, engineering and mathematics. Congratulations also goes out to our team of teachers who work so hard to continue with this mission of always going above and beyond. Those team members include: Christa Borling, Christina Bresnahan, Kathy Jo Fronk, Diane Salamon. Amanda Plute-Schlitter, Cindy Gerity, Stephanie Novicky , Pam Bugner, Mike Eleo, Amy Evrard, Gail Reynolds, Monica Gorman, Gideon Nocero, Stephanie Baker, and Jane Unsdorfer. We are excited to announce our new band program for students in grades 5-8. Students involved in band will partake in private lessons as well as full band ensemble rehearsals throughout the school day. Concerts this year will include programs in December and May. Make payments to SFX online through Headmaster! Welcome to St. Francis Xavier School, the home of the Navigators! Our campus is located in beautiful Medina, Ohio for students in grades preschool through eighth grade. St. Francis Xavier School is a special place that instills values, faith, leadership, discipline, and respect to help our students develop a strong Catholic foundation for life. Please do not hesitate to give me a call if I can be of any assistance to you. I look forward to talking to you about educating and caring for your children. We have so much to offer here! Catholic schools have a long-standing commitment to academic excellence that is rooted in the faith-based mission of Catholic education. The Common Core State Standards in no way compromise the Catholic identity or educational program of a Catholic school. The Common Core State Standards initiative, begun in 2007, is a state-led, bipartisan effort that is not a requirement for participation in the No Child Left Behind Act of 2001 (NCLB) or any other federally-funded program, and there are no mandates for any Catholic school to follow any federal rules if they adopt the Common Core. Adoption of the Common Core is voluntary; individual states, Catholic dioceses and other private schools make their own decisions about whether to adopt the standards.